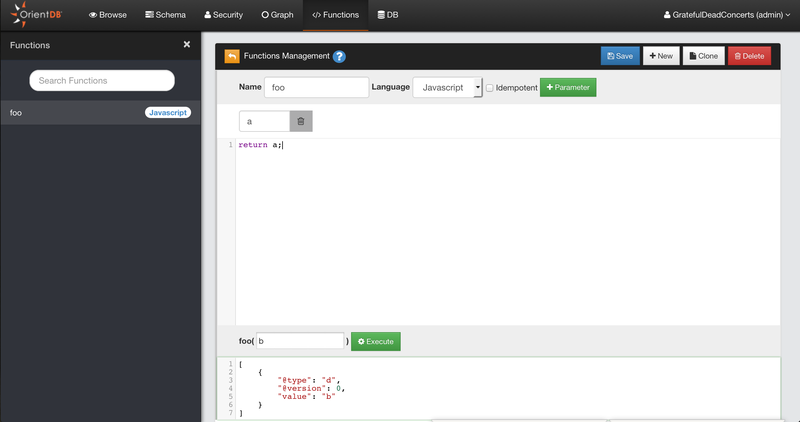 OrientDB allows to extend the SQL language by providing Functions. Functions can be used also to create data-driven micro services. For more information look at Functions.